Best web browser 2017: which should you be using? If you’ve been using Internet Explorer blindly for years or are worried about Google snooping on your every move online, it may be time to test drive a new web browser. The good news is that whether you’re obsessed with privacy, love customising everything to your needs or want a reliable, easily useable browser that collaborates with other programs, there’s something for everyone. We’ve rounded up the USPs for the most popular browsers and have done the homework so you don’t have to. Let’s start with a classic. While Internet Explorer (IE) wasn't the first web browser, many of us got our first taste of the internet using it, as within four years of its launch IE had 75% of the browser market. Fast forward to today and the browser is faster and more efficient than ever – but heading for retirement. Its USP is arguably one of familiarity and now efficiency (having suffered some annoying issues in the past). IE 11 uses less RAM and CPU than equivalent pages on Firefox or Chrome, for example, and has a minimalist look featuring a single bar that works as its address-search bar and search box (Bing) using, taking up little space on your screen, like some other browsers. However, designed to originally work with Windows 7 and 8, Microsoft’s original browser lacks some of the personalised features and add-ons offered by its younger peers and is slowly being phased out to make way for Edge, so if it’s updates you’re after, you might not be in luck. Mozilla Firefox is known for being a user-friendly and personalised good all-rounder of a browser (although not quite as popular as it once was). While some aficionados claim it’s slightly more sluggish than its peers and bemoan its unique, separate search and URL boxes, it can be customised to a user’s taste, with a raft of extensions available. Among its boasts is that the browser is updates every six weeks and most notably, that 'no other browser gives you so much control over your digital footprint'. At a time when internet users are more aware of their privacy than ever, this feature is quite a draw. Mozilla says: 'Firefox won’t save things like your browsing history, searches or cookies, but it will keep new bookmarks and files you download' while a desktop feature called Tracking Protection works to 'minimise the ability of hidden third parties from tracking your browsing activity across many sites' – handy if you’re fed up of targeted ads and the like. Staying with privacy, Mozilla has recently launched a feature that clearly highlights non-secure websites with a red strike through the URL bar. ‘Web pages that collect passwords, like an email service or bank, but have not been secured with HTTPS will be more clearly highlighted as potential threats,’ it says. The browser is also a good choice for games developers as it’s claimed to be the first to support the new WebGL 2 standard, which gives developers the ability to utilise 3D graphics available for the first time on the web for better rendering effects, for example. Google brags that Chrome lets users ‘browse faster’. While it’s not quite the fastest, features like searching and navigating from the same box and choosing results and suggestions that appear as users type, speed up searching online, as you’d expect from Google. For convenience, Autofil is hard to beat. This feature lets users complete forms with just one click, pulling up their address etc effortlessly. It works with Android handsets too, which can be a godsend when filling in fiddly websites on a small screen. Many experts have deemed Chrome the nicest browser to use, perhaps in part thanks to its minimalist design maximising screen space (the first browser to do this) and handy features such as single-click bookmarking using the star icon next to the address bar. Then of course there’s its good reliability and cross-platform capabilities. But is usability and customisable features come at a cost – Chrome is among the heaviest browsers when it comes to RAM and some users may be concerned about the amount of data they are handing to Google. Opera may be a small fish in the web browser pond, but it boasts some innovative features, including a built-in VPN, ad-blocker and battery saver mode to extend battery life by up to 50% (although the latter feature is also available on Firefox and Edge). Opera is a secure browser designed to protect users from fraud and malware and comes with a free and unlimited VPN feature – the first mainstream browser to offer this. When VPN is turned on, Opera will replace a user’s IP address with a virtual IP address, making it harder for sites to track their location and identify their computer, which can be especially handy when using potentially dodgy public networks. It’s also claimed to be the first major browser to block ads without add-ons, making content-rich sites load up to 90% faster. Talking of speed, Opera’s focused on making its browser faster using a data-compressing Turbo feature that’s particularly helpful when using a poor broadband connection or pricey mobile connection. Most recently, it’s also introduced instant page loading and Profile Guided Optimization (PGO) to load increasingly heavy web content faster. Instant page loading is a mechanism where the Opera browser predicts which website a user is typing the address for and begins loading it in the background before they hit enter, becoming smarter and faster over time for regularly visited sites. PGO – a compiler technique able to make software running on Windows significantly faster - meanwhile is claimed to offer 13% faster start-up time and a general performance boost. Opera has also rolled out a concept browser named Neon that offers the 'future of web browsing'. It includes Opera features such as Speed Dial, visual tabs and omnibox in a new way – bringing the computer’s wallpaper into the browser. The company says: ‘Tabs and other objects respond to you like real objects; they have weight and move in a natural way when dragged, pushed, or even popped.’ It also has video pop-out and split screen mode which will make multitaskers happy and images can be collated into a ‘snap-to-gallery tool’ instead of being stashed away in folders. Built to be visually appealing and intuitive, Opera says: ‘Gone are the days of rummaging through endless browser tabs to find the website you want. The colourful visual tabs use images from web pages to help you find the pages you need’ and favourite tabs even ‘float’ to the top. Move over IE. After 20 years, Microsoft’s got a new browser. Called Edge, it’s designed to work with Windows 10 and integrate with some of the operating system’s features such as Cortana, which some users might like and others loathe. Designed with Windows tablets in mind, Microsoft Edge is the ‘only browser that lets you take notes, write, doodle, and highlight directly on webpages’. The Web Note feature lets users save and share their annotations or scribbles in all the usual ways. There’s also a handy Reading View for users reading long features or reports, which sweeps distracting content out of the way so they read only what they want. Last but not least is Vivaldi, which offers a geeky level of customisation for people who know exactly what they want from a browser, even altering the structure of its interface. 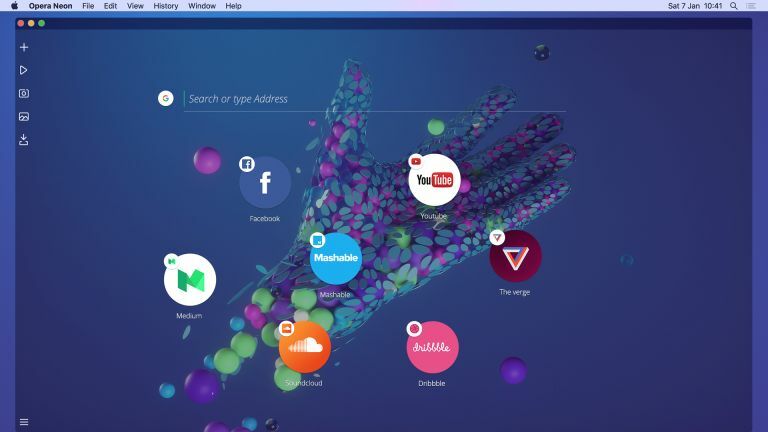 While it’s not the fastest and lacks some basic features of its competitors, this offering from the creator of Opera is creative and super personalised, offering users the chance to pick where they would like the tabs and address bar to go, from its launch. ‘Whether it's your keyboard shortcuts, mouse gestures, appearance or a modification to address colour blindness, Vivaldi gives you the tools,’ the company says. If you like keeping loads of tabs open, Vivaldi has a tool for Tab Stacking, letting users group multiple tabs into one by clicking and dragging. ‘With Tab Stack Tiling, you can display multiple tabs side by side or in a grid layout. Through multiple tab stacks that are tiled, you have multiple desktops, which you can switch between with a single click,’ it says. Just like choosing a car, all the popular browsers share features fitted as standard, but then it comes down to preference and what you’ll be using them for. Users who want to prioritise protecting their privacy could opt for Mozilla and Opera, the latter of which has a built-in VPN, while those after a speedy browsing experience may prefer speedy Chrome, Opera or even Microsoft Edge. Those who don’t want to get to grips with a tonne of new features and favour ease-of use may opt for Mozilla, Chrome or even IE if they love familiarity (although this may be a short-term solution. Meanwhile, more adventurous users may enjoy Microsoft Edge’s Web Notes feature, the hundreds of options offered by Vivaldi or even conceptual Opera Neon if they like their browsing quirky. What’s certain is that there’s something for everyone.